William Charles Hall Cridland was a great Australian, a man who after the war, suffering with his own illness, TB, dedicated much of his life to the memory of the men who had made the ultimate sacrifice, and the future welfare of the returned soldiers. William was also an “original” sapper with the 1st Field Company Australian Engineers. Ironically his own story and memory has faded with time, but is now reignited, and his story is now retold for generations of Australian’s to remember this extraordinary man. William was born in 1890 in Surry Hills Sydney, to parents Charles John Cridland and Ann McLennan nee Hall. William also had 3 sisters and two brothers, Sidney and a younger brother Leslie Millar Hall Cridland who later joined ther RAAF in 1940. It is likely he was unaware of his ancestral history. William was a convict descendant, considered by many today as our very own Australian royalty. 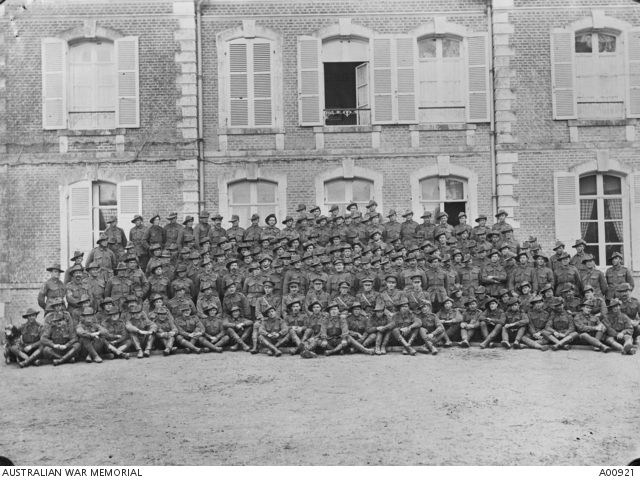 When he enlisted with the Engineers in the AIF he was also certainly unaware of his future place in Australian history. When he was 24 he was an engineer and mechanic working in his father’s company, ‘Dickson and Cridland’, a sizeable engineering business specialising in machinery, boilers, as well as millwrights and blacksmiths based in Marrickville Sydney. 209 Company Quartermaster-Sergeant William Cridland – standing extreme left immediately behind seated soldiers. William would later give his account of the landing on Gallipoli and having the honour of being one of the first to land at Gallipoli. “How many pause to give thought to that gallant band who landed on the shores of the Aegean Sea on April 25, 1915, placing Australia in such high esteem throughout the world? The transports and convoys of the Anzac Armada concentrated at Albany, whence they sailed on November 1, 1914, and the troops were landed in Egypt early in December. All troops were assembled at Lemnos, the advanced base, and on the evening of April 24 the assaulting units were taken on board transports and warships to the Gulf of Saros. On arrival they were transshipped on to barges to be taken Inshore. A. and B. Company, of the 9th, 10th, and 11th Battalions were chosen as a covering party, and 20 sappers, N.C.O.’s and an officer each from Nos. 1, 2 and 3 sections of the 1st Field Coy. Engineers were chosen to go in as a demolition party with the covering party. I had the honour of being one of the chosen of No. 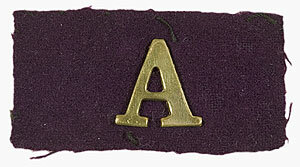 1 section, and we had to go in with A and B of the 9th Bn. My section and the 9th Bn. were very fortunate in that we went from Lemnos to the hopping off place in the H.M.S. Queen, the flagship of the Mediterranean Fleet. All ranks aboard treated us with the usual British naval hospitality, and we were all able to get a decent sleep in bunks, and, on waking, a hot bath and a jolly good feed. Then, to cap all, the canteen was thrown open to us, and the sailors packed us with their issue of chocolate. In the early hours of the morning came the clear but low order to fall in. All lights were out, and the night was pitch black. Each man’s load was evened up as well as could be, so I’ll mention what I had – the usual full marching order, not forgetting rifle and bayonet, 250 rounds (the dinkum stuff, too), emergency rations, pick, shovel, wire-cutters, one dozen sand bags, and a case of gun cotton. How we managed to go down the rope ladders into the barges, then through the water and up the sandy beach, God alone knows, for I don’t, as each barge had its full complement. At last all barges were ready, and we were taken in tow by steam pinnaces. The moon had disappeared prior to our leaving the Ship, but, looking back, we could see the black forms of the battleship following in our wake ready to cover our attack. Here we were at last launching out into the unknown, but it was a long-looked for event, after over eight months’ hard, rigorous training at home, on board ship, in Egypt, and at Lemnos. loose, but so far there was only one side having a go. Full speed ahead raced the pinnace towing the barges, then, swinging clear, left us travelling inshore. Now, the little middies, standing erect, grim, determined and heroic, directed the barges, swinging them clear of one another. Lieut. Mather, realising that the barges afforded no protection from the murderous rain of lead from rifles, machine guns, and artillery, told us to go overboard and make the beach. His advice was promptly followed. We were, of necessity, compelled to gain what cover was offering, in order to take a spell, for, after struggling through about 40 yards of water and then up the beach with our load, we were somewhat blown. This, as near as I can remember, was in the vicinity of 0.420 o’clock. After a very short breather Col. Lee reminded us of the job on hand. Now was our turn, and, with fixed bayonets (not forgetting the one in the tunnel), we started off up the hill, dragging ourselves up with the assistance of the undergrowth in places. Eventually we gained the top, and became subjected to fire from all directions, and I think all our casualties there were caused by snipers and shrapnel. There were about seven of us in a group, and we decided to move with caution, for some of our own cobbers coming up behind could very easily take us for Turks, for we were more like ragged tramps than anything else. Our decision proved a blessing, not only to ourselves, but to those coming up, for, lying hidden as we were, we began picking off the Turks – some at very close range, too. As our numbers increased we began to move forward, till a messenger came up with an order that all engineers had to report back and commence the establishment of a line of defence, and cut steps up the cliff so that travelling would be made easier. It is difficult to remember the position of the job I had to carry out, that of cutting steps in the hill, but, as near as I can judge; it was that steep portion leading to Russell Top. Whilst engaged on this task, General Birdwood stood talking to me for a while, and was nearly sniped. On a later occasion he informed me that it was an occasion he would never forget. From this job I went up the hill to assist in some trench running, and as soon as I got there a sniper got busy from across the gully; but he did not reign long, as one of our chaps sent him to Allah. That evening my section, in charge of Lieut. Mather, had a job of trench running somewhere up Shrapnel Gully, and, considering the incessant blaze of rifle and machine gun fire all night, it was a wonder that any of us were left. When one considers the geographical formation of the country, it is amazing to think that we ever got a footing on the Peninsula at all. To some people the landing at Gallipoli is merely something that happened in the distant past, but to many it is the most sacred day of the year. I know many who took part in the landing who travel hundreds of miles for the Memorial Service on Anzac Day, and then spend the rest of the day with their old unit cobbers. Source: (Cridland, W. ‘The Landing: First Clash with Turks’, Reveille, Sydney, RSS&AILA, NSW Branch, 1930 p42). At Gallipoli on landing day he had watched fellow sappers fall and had witnessed his close friend 54 Henry Fairnham killed on May the 26th. Henry was on his way towards the beach to draw some stores from the No 1 Clearing station as he was assistant Quatermaster, when he was blown to pieces by a direct hit from a shell from “Beechy Bill”, William with fellow sapper 154 Albert Anderson later buried Henry. William also had to watch helplessly as young 21 Len Gatty lay motionless in no mans land during the battle of Lone Pine. William would later take special care to let Len’s people back home know of the circumstances that led to Len’s brave sacrifice. This compassion and feelings for his fellow soldiers during Gallipoli no doubt laid the foundation for his dedicated civil service after the war. One of the early founder’s of the TB Soldiers and Sailor’s Association and ultimately President of the NSW Association. His tireless work along with other equally worthy organisations such as the Limbless Soldiers Association was instrumental in the establishment and ultimately the construction of the glorious Anzac Memorial in Hyde Park Sydney. William spent years travelling and promoting the association and raising funds for the welfare of returned soldiers and also funding for the building of Anzac memorial. For many years he dedicated his time to his close mates from the 1st FCE and was instrumental in the formation and the continuation of the reunion ‘s for the 1st Field Company Engineers. The reunions were later formalised with a registered Reunion Committee, with members from the 1st FCE playing a vital role in its support for the returned soldiers and its continued success. 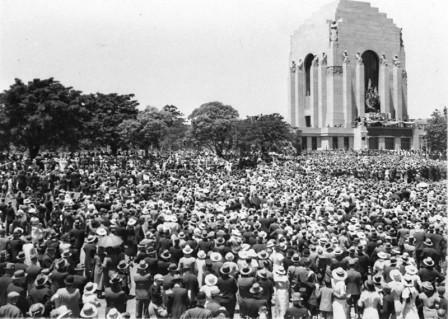 The ANZAC Memorial was officially dedicated and opened by His Royal Highness, the Duke of Gloucester on 24 November 1934. The original wreath laid at the opening ceremony by the Duke of Gloucester is still displayed in the Memorial’s Hall of Memory. No doubt one of William’s proudest day’s was the opening of the The Anzac Memorial of New South Wales. William not only had the honour of being among fellow dignitaries standing on the grand pediment of the new memorial, but was granted the honour of addressing the Royal Luncheon with a minutes silence followed by reciting the stirring and famous words from Laurence Binyon’s “Ode of Remembrance” before the toasts and speeches. The newspapers reported on this glorious day, and William having his proudest moment. In the presence of 150,000 persons the Duke of Gloucester .’in Sydney on Saturday unveiled the memorial to the men and women of New South Wales who served in the Great War. 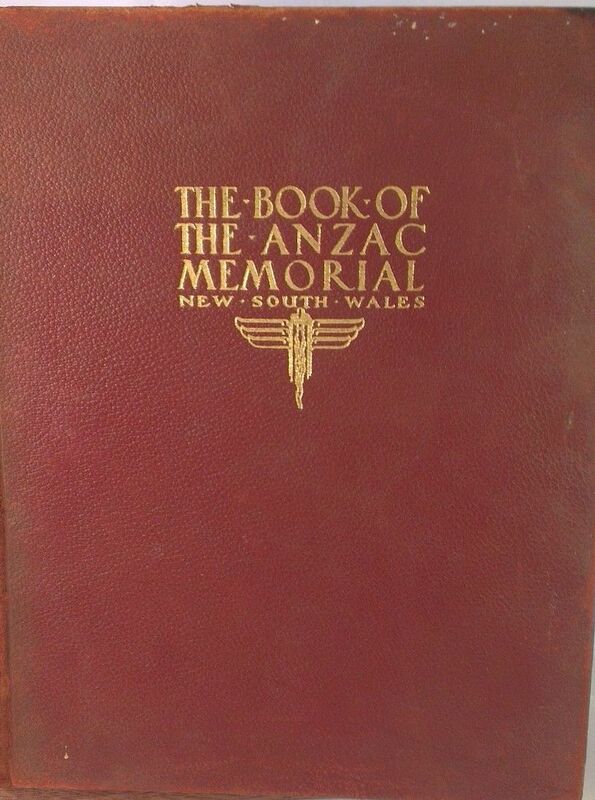 In 1934 to help mark the completion of the Memorial, the Trustees published “The Book of the Anzac Memorial New South Wales” to commemorate and explain the symbolism of the Memorial. • to collect, preserve, display and research military historical material and information relating to the New South Wales citizens who served their country in war or in peace keeping activities. The origins of the Remembrance Day poppy can also be traced back to this time when it was first produced for Australians by the United Returned Soldiers’ Fund in 1933. 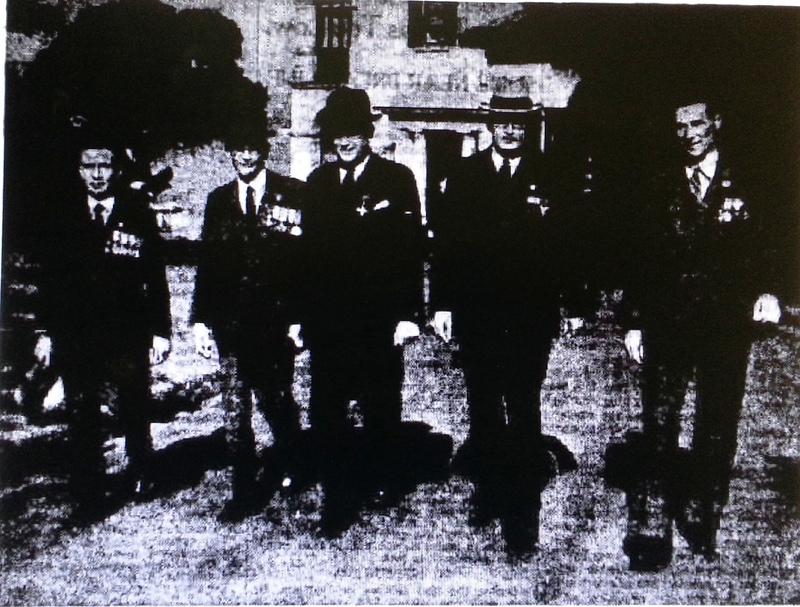 The URS was formed postwar as an amalgamation of the NSW Returned & Services League, The Limbless Soldiers Association and The TB Soldiers, Sailors and Airmen Association. They still make and sell poppies of remembrance today. – source AWM picture of original below. This red crepe paper poppy pictured above, has a green paper label attached, reading ‘United Returned Soldiers 1933’ on one side and “‘Lest We Forget’ Poppy'” on the other. The poppy is sewn to a central black domed tin button, impressed ‘URS FUND’. William Cridland married – Doris Ray Healey in 1921, Marrickville – more family details to follow soon ………..
William was a dedicated and modest man who wouldn’t have cared much for titles and labels. However one well deserved distinction was placed upon him in 1936, the title of MBE (Member of the Order of the British Empire) , a well deserved Royal Honour for his outstanding civil service after the war. William Cridland was a great Australian, who struggled with his own illness, had seen the horrors of world war 1, but continued rigorously and tirelessly to ensure a great legacy was left for all those fighting men and the fighting men thereafter. His efforts associated with having the great NSW Anzac Memorial built and today still standing proudly as one of the great war monuments in the world makes William Charles Cridland’s story rather special and one that should never be forgotten. Link below to Fairhall trees , a photo of William’s father and his ancestry/convict line. William had a daughter Gwenda Healey Cridland born 1923 – married Walter Thomas Hansford, an Engineer in 1950, they were living at 39 Rembrandt Dr, Middle Cove in 1980- she died in 2002 – daughter from marriage Robyn Jillian Hansford. Also daughter Pamela M Cridland who married a Maxwell David Miller in 1954 – Mosman – both Pamela and Maxwell were architects.